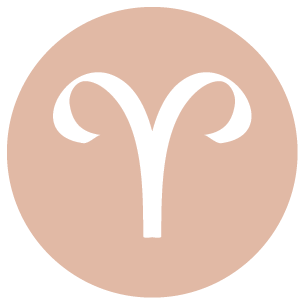 The month ahead is an excellent one for getting your bearings, dear Aries. You are encouraged to slow down, work things out, draw on patience, and build and develop – and the sooner you accept this kind of pace, the better the rewards! With so much retrograde activity these days, Jupiter’s direct motion on the 9th can feel especially good. Motivation for work and health programs increases. Projects that had stalled or were left behind might now resume, pick up speed, or turn a corner. The next several months are excellent for benefits from work, services, and health. For now, you’re easing forward. Overall this should be a calmer, less visible month for you, and it does you some good. There can be a stronger focus on personal finances, personal possessions, resources, and business. You are exploring different ways of building your sense of value and worthiness. Money issues or sources of income may change and there can be some reshuffling to do. Ultimately, you could be finding ways to increase your income or your earning potential. You can be more productive than usual this month, particularly if you focus your energies on works in progress. Save big launches for later, but work at editing and revising – it can lead to great things. You might enjoy recognition for past work, and you can quite effectively work on or revive old projects that are likely to have long-term appeal and profitability. There can be important discoveries. You might experience renewed interest in a work project or a health and wellness program. For some of you, social and romantic opportunities may be found through business or work. The Sun enters your communications sector on the 20th, and Venus follows suit on the 24th. This brings a busier, more connected theme to your life. The 21-22 can be complicated. Your ruler, Mars, is retrograde all month. It is only during its retrograde periods that Mars forms its opposition to the Sun, every two years or so. This happens on the 22nd, when Mercury stations and just after a Full Moon occurs. The temptation may be to push to have your way, when in fact this is an opportune moment to take the time to feel, learn about, and understand your desires and drives. Frustration can center on intellectual planes this time around, so watch for speaking prematurely or making too much of something said. Make safety an important priority, as impatience can lead to errors in judgment. On the 26th, Jupiter and Saturn form their final square in a set that began last summer, and this serves as a reminder to pay attention to rules and limits. Think in terms of priorities and look for ways to cut back and simplify your life. Mars moves back into your solar eighth house on the 27th, where it will spend its final month in retrograde motion. There may be the need to revisit financial matters, issues of support, and debts. Ambiguity with finances, particularly debts and shared money or resources, could dominate now, or financial affairs require a second look. An old relationship that ended poorly may occupy your thoughts, or an old lover may return. There can be magnification of unexplored desires. This is a time for exploring anger and assertion over deeply buried matters, and finding better tools for managing your life on an emotional level. This is a powerful month for you, dear Taurus. There is strong focus on your personality and your personal plans, and support for these is forthcoming. 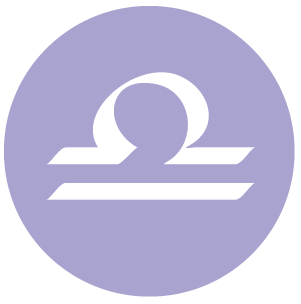 Granted, Mercury is retrograde in your sign and Mars is retrograde as well – the latter being a fairly infrequent occurrence that can slow things down. Navigating the waters can be a little tricky, but you have plenty of help from Jupiter, Pluto, Neptune, and Chiron. In fact, there are some rather magical influences with you in May, particularly in the first half of the month. Opportunities for cooperation, loving and personal gestures, and shared happiness emerge particularly on the 2-3, 10th, and 13th. Creative matters can blossom. Energy is so easy right now that you might even be feeling a little lazy. It’s an indulgent time, and a time for sharing and opening yourself up to others. You might find that new avenues open up to you for exploring different ways of having fun. You are likely to feel as if the busy pace of your life is letting up and you can more easily tend to more pleasant matters. The New Moon on the 6th is in your sign and frames you wonderfully. It’s strong for personal reinvention, making a positive impact, friendships, education, and relationships with extended family. There can be a strong attraction to cultural events and exotic places or activities that take you to new places or that expand your mind. Jupiter’s direct motion on the 9th is very welcome as it ushers in a sense of hope and feelings of optimism, particularly about a creative project or romantic relationship. Going forward and in the next several months, you’re likely to see some exciting forward movement in love, creative pursuits, recreation, hobbies, relationships with children, and self-expression. Your spirit to enjoy life is building, even if it’s not the time to push forward plans. The Sun, Mercury, and Venus in your sign will take turns harmonizing with Pluto in May, and these influences strengthen your resolve, help you to gain support, and offer up opportunities related to travel, education, publishing, and legal matters. Your personal belief system continues to deepen. This is a powerful time for reworking and refining old methods and procedures. Your patience with others will go a long way towards enhancing your connections. Your powers of attraction are even stronger than usual. The second half of the month is a little more discordant than the first, but nevertheless brings opportunities to sort out matters related to intimacy and finances. The Full Moon on the 21st aligns with retrograde Mars and can awaken a need to reorganize your finances, or stir up feelings about a past relationship. Mercury turns direct in your sign on the 22nd, and this can point to turnarounds with your personal plans. Even so, a Sun-Mars opposition occurring now can force a confrontation or it can put the spotlight on opposing forces related to money, possessions, debts, and ownership. Try not to feel threatened by others’ assertion of their desires. Aim to take a lesson from any issues that become inflamed now. Jupiter and Saturn form their last square on the 26th, and you may be attempting to sort out your relationships and commitments. Whether or not to make changes or to stick with traditional or familiar patterns can be an issue now. Fears of closeness or intimacy, or the demands of money owed/due, can challenge you. You may want to expand but excesses in other areas of your life need to be tamed. For some of you, there can be challenges in relationships, where the level of intimacy can be an issue or dilemma. The trick to handling this energy well is to look for areas of your life that can be simplified or strengthened and work on those, one step at a time. You’ll end up in an improved frame of mind. Retrograde Mars moves into your partnership sector for the last month of its retrograde period starting on the 27th. This stimulates a need to reorganize your energy with regards to people and partnerships. You could be re-assessing the ways in which you approach relationships, as well as what it is you want from your connections. Looking to the past in order to improve the present and your future is what this is about. The last week of May brings stronger attention to money matters, personal possessions, and issues of comfort and security. You’re likely to feel in a stronger position in terms of outlook and knowledge on the 30th. There continues to be a strong focus on the past, healing, processing, and digesting this month, dear Gemini. There is very little pressure to venture out, although you’re not one to keep still for too long. Planetary shifts this month turn your attention back to home and family. There can be renewed relationships, and projects around the home can resume, from the 9th forward. Motivation to make happy changes in your domestic life increases now and in the next several months. In the meantime, you have a lot of inner work to do, and you have plenty of help in this regard! In fact, this can be a month of big emotional breakthroughs. The 1, 2, 10, 13, and 30 are particularly strong for making improvements, gaining new insights, and strengthening your resolve. You are bringing fresh energy and an open mind and heart to past problems and to your personal relationships. Family is more cooperative or home life is shaping up in pleasing ways. Good feelings in a partnership, or about relationships in general, can figure strongly now. There can be some tendency to indulge and possibly go over the top when it comes to spending, comfort foods, expressing affection, and pleasures. This is a time for learning more about yourself, your heart, and the people closest to you. If you have resisted taking time for reflection or dealing with the past, the New Moon on the 6th will prompt you to take charge. The second half of the month is trickier than the first, but quite manageable. The Sun enters your sign on the 20th, kicking off a month-long cycle in which personal influence is strong and personal plans are on the front burner. The Full Moon on the 21st, however, is a quick reminder of others’ needs and perhaps a rather abrupt one, as it aligns with retrograde Mars and the relatively rare Sun-Mars opposition occurs on the 22nd, pitting will and against desire. You may need to take a look at the hard issues in a partnership so that you can later take action to make some important changes. The final Jupiter-Saturn square in a set that began last summer occurs on the 26th, and you can feel some pressures if you’ve been overly dependent or reclusive – you’ll need to reach a better state of balance. There may be tensions in a partnership, and stubbornness can be a real problem, even if you know that peace is more easily achieved by letting go of the desire to be right. Problems may run more deeply, and that could be why tensions are mounting. Clashes between a partner and home life or family are possible. You have all the needed emotional tools at your disposal to work through differences, however, and you might find that this is simply about recognizing your limits. Mars leaves your partnership sector and dips back into your work and health sector for the final month of its retrograde on the 27th. There may be hidden treasure to be found in old programs, methods, and work projects. However, if you decide to revive something now, it’s best to come at it in new ways rather than repeating past mistakes. This portion of the Mars retrograde cycle emphasizes practical and work matters. How you organize your time is in question now. This is a strong month for your social life, dear Cancer, even if there are some complications to deal with. Relationships, in general, are in focus, and for the most part, people are helpful and supportive of you. There are plenty of wonderful spots this month, although they seem to be concentrated in the first half of May. There are many opportunities for good conversations particularly about past matters, resolving problems, forgiving, connecting, and giving others the benefit of the doubt. There are also treasures to be found in old projects, studies, and interests. Old friendships might be revisited. Travel plans may need some time to come together, but can be in strong focus. Rethinking some details of recent plans can work to your benefit in the long run. Partnerships are supportive and there can be good energy for legal and educational matters. Special dates for such opportunities are the 1-3, 9-10, 12-13, and 30th. The New Moon on the 6th can herald new beginnings related to friends, group associations, and important ideas and dreams. Your appetite for pleasure is also very strong in the first half of the month. Control this while still enjoying yourself, and life is good. From the 9th forward, motivation to pursue personal interests or studies increases, and this will get even better in the next several months. Work and health matters can turn a corner as well, although there may be some hurdles to get over around the 21-22. Your generosity and openness tend to attract friends and positive attention in general. While friends can enter or leave your life now, you’re in a better position to learn who is truly on your side. There can be an increase in your personal influence in groups, with friends, and with a partner. You might especially enjoy coming to someone’s aid. An overdue conversation might occur, and relationships can subtly improve. You may return to old or abandoned dreams and plans with new excitement. The second half of the month is trickier than the first, but manageable. The 21-22 brings sudden awareness of something that’s not working in the world of your work, daily routines, or health, or the need to make adjustments and meet deadlines. The 26th finds the final perfection of a Jupiter-Saturn square that serves as an important reminder of the limits of time and energy. If you have taken on too many personal projects or interests, you could find that this impacts your attention to responsibilities or professional goals. Look for ways to divide your attention in a more balanced way, even if this means cutting back on certain activities. Otherwise, the activities that you enjoy most can eventually feel burdensome. Frustrations aside, this is good time for structuring and simplifying your life in key ways. 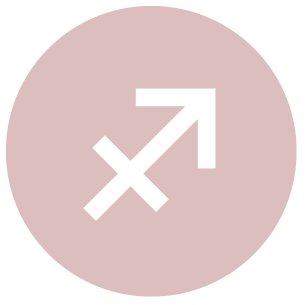 Mars moves back into your romance and creativity sector on the 27th for the final month of its retrograde cycle, after which it will turn direct and spend even more time in this part of your solar chart. This can be a time for rediscovering old passions. There may be some delays in a creative project or even a romance, possibly due to setbacks, indecision, or stalling. However, you’ll have plenty of time for sorting out your desires, needs, and goals in the coming months. There is strong focus on your life direction, career, and/or reputation this month, dear Leo. You could be mulling over some major decisions about where you’re headed. There is at least one planet and often several bodies in your career sector in May. There are beautiful aspects connecting cosmic bodies in your career and life path sector with your sectors of support and backing, work, health, routines, research, and finances, setting up important opportunities to improve your life, particularly in these areas. You’ll also more easily find satisfying channels for expressing yourself and pursuing your goals. Past projects or goals may deserve, or require, a second look. There are treasures to be found in the past, but you’ll likely need to approach them in new ways in order to really get them off the ground this time around. This can be a strong time for recognition of work you’ve done in the past. Health matters can benefit from some research, and old approaches might be revived now. From the 9th forward, business and financial matters can turn a corner. Interest and motivation are renewed in certain projects and endeavors, and you feel more confident about pursuing your interests. The second half of the month is a little trickier, but can also be a call to action. A Full Moon occurs on the 21st, and it aligns with retrograde Mars. The Sun and Mars oppose one another on the 22nd and Mercury stations direct. This can bring a social or romantic issue to emotional heights. A matter from your past can emerge and frustrate you, but can be very revealing, and you might begin to figure out the root of recent aggravations. Tensions now can come from pushing something that shouldn’t be accelerated. Matters can be inflamed now, but this brings them strongly to your attention. The Sun moving into your solar eleventh house on the 20th brings new energy into your life that pulls your attention to happiness goals, friendships, and networking. Venus moves into this same sector on the 24th, stimulating more joy and pleasure in reaching out and making connections. The final perfection of a Jupiter-Saturn square that first occurred last summer happens on the 26th, and simplifying or leaning up your projects, working harder, improving self-discipline, cutting out some of your more frivolous activities, or putting better schedules and structures into place may be necessary. This can also be about balancing practical application and experimentation, as you can be excited about learning new things but this can eat a lot of your time and you also need to put food on the table. The good news is that events occurring now tend to point you in the direction of a more simplified, streamlined, and improved way of life. Mars moves back into your sector of home and family on the 27th, where it will spend its last month of retrograde motion. You may be reviewing your living situation or conditions. Old family issues or household projects may be revisited. 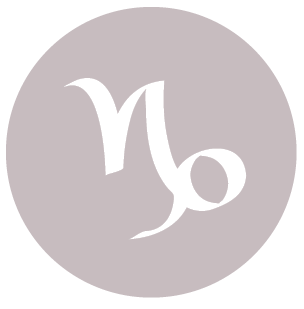 There can be a strong focus on learning, sharing ideas, publishing, and venturing out beyond your usual bounds in May, dear Virgo. While Mercury, your ruler, is retrograde until the 22nd, and Mars is as well (all month), you have many reasons to be hopeful and frequently enjoy moments when your spirits are lifted. The first half of May is excellent for editing and revising, returning to old interests and studies, work on projects you aim to publish, creative works, and partnerships. You may be revisiting old relationships, perhaps only in the mind, and ideally learning from past regrets. You may regain confidence in old plans, ideas, and projects now – there are treasures to be found in works-in-progress that you may have left behind. However, to make them work in the future, you need to approach them in new ways. Some special days for opportunities in these areas are the 2-3, 9-10, 12-13, and 30th. The New Moon on the 6th ushers in good energy for recommitting to plans and projects, as well as for new resolutions to explore, grow, and expand beyond the regular experiences of your life. This is a good time for exploring new adventures or perspectives with a partner and people you care about. Romantic possibilities may come from a person who is of a very different background than you around the 12-13, or from a long-lost friend. There can be a financial boost or gift. You are more visible than usual with the Sun in your solar tenth house from the 20th forward. A Full Moon occurs on the 21st, aligning with retrograde Mars, which opposes the Sun exactly the next day just when Mercury stations direct – a complicated mix of energies! Challenging family or home life issues could emerge now. Pay close attention to any emotional “slush”, anger, or resentment that surfaces now, as you might better understand some of the tension that has recently been with you. The good news is that whatever emerges now is in full view and this begins the process of working things through. If you’ve been overdoing certain personal freedoms to the detriment of other life departments, the Jupiter-Saturn square the peaks on the 26th will remind you of the need to strike a balance. This is an important time for getting your home and family life in order. Plans that were too ambitious may need some reworking. Look for ways to simplify your life, as the work you do now on streamlining and restructuring can benefit you for years to come. This influence first came into influence last summer and is now ending. From May 27th, Mars spends its last month in retrograde in your communications sector. Some of the pressure you’ve been feeling on the domestic scene releases, and you turn your attention to courses, studies, and interests that may need special attention. Challenges with self-expression, pushing/selling your ideas, or with neighbors and siblings may occur for some of you. However, this is a strong period for fixing problem areas and revising work you did in the past. Positive educational, work, or travel news may be forthcoming around the 30th, when your voice is stronger than usual and others may recognize you as an authority on a subject. You are moving towards a career and life path yearly peak of sorts in the last week of May. You continue to be drawn to your inner world this month, dear Libra, and to making inner changes that have strong impact on your life. You are tuned in to the deeper issues and looking beyond the surface of matters for answers. We are encouraged to slow down and possibly back up in some areas of life this month with Mars retrograde all month and Mercury until the 22nd. You may tune in to this pace faster than most with the help of the concentration of planetary energy in your succedent and cadent houses, as you’re naturally inclined to adjust, build, and observe in May. There is plenty of planetary support for your ruminations and discoveries, particularly in the first half of the month. Things, ideas, and people tend to surface from your past and draw your attention back to projects and endeavors that might benefit from a new perspective. There can be a healing process going on now – you are building your inner faith. Charity, giving/donating anonymously, volunteering, and helping others without expectation of reward can be especially fulfilling as well. Self-improvement endeavors are highly favored, and you may be striking up conversations about private or personal matters, purging, and unburdening. This is also an excellent time for researching, editing, or otherwise going over business, health, and financial matters. There may be a need to redo or revise finances and pay stronger attention to what’s owed. Financial support matters may need sorting. You are likely to feel especially motivated to do things that you’ve been letting slide. The trick now is to avoid pushing things that need some more time. Brand-new endeavors may not get off the ground, but work in progress can benefit greatly from your attention now. Jupiter turns direct after several months of retrograde motion on the 9th, and this can feel quite refreshing. There can be a rekindling of interest in studies or other communications projects. 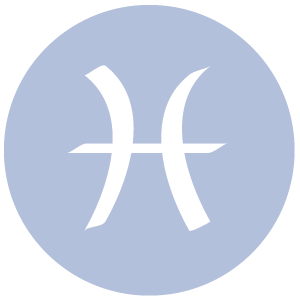 You are nevertheless in a development stage as Jupiter finishes up in your privacy sector until September, when this happy planet enters your own sign. The need for some privacy and down time is natural now as you prepare for more outgoing and visible times. Jupiter’s direct motion can help you let go of resentment and difficult problems of the past. The 21-22 can be tricky with the Sun and retrograde Mars in opposition at the time of a Full Moon and Mercury at its direct station. Disorder in your daily affairs, as well as with communications and transportation, can be disruptive now. Watch for impatience that can lead you to trip over yourself. Minor issues can be the trigger, but major issues may be at the root. Consciously try to slow down and to tame your desires, which can seem very immediate and urgent now, but may not seem as important later on. While time spent behind the scenes has been encouraged and beneficial, the Jupiter-Saturn square in the last week of May reminds you that too much time spent in this manner will cause you to miss out in other areas of life. Look for ways to better balance your life. While your tendency is to play a supportive role to others and this is mostly without incident, you can feel the need to draw the line as you become aware of the limits on your time and energy. The key now is to simplify as much as possible. From May 27th, Mars spends its last month of retrograde motion in your sector of money and resources, and this points to further need to focus on sorting out your finances. Money and security matters require some revising and reorganizing. This period involves coming to a greater understanding of how the way you manage your resources impacts your confidence. A major focus this month is your relationships, dear Scorpio, and it’s an important one. Sorting out problems and enjoying special moments with people in your life are satisfying activities in their own right, but can affect many different life departments as well. 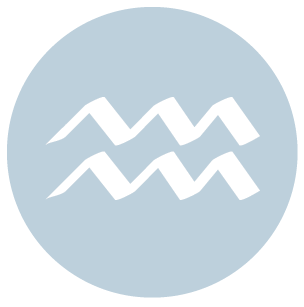 Mercury is retrograde until the 22nd in your partnership sector, and Mars is retrograde all month, so there can be some complications and challenges to overcome, but overall, this is a strong time for exploring feelings and attitudes. The New Moon on the 6th tends to get the ball rolling, but most of the first half of May is strong for re-defining relationships and relationship needs. Jupiter’s direct motion on the 9th contributes to hopefulness about your connections as well as long-term plans. Essentially, it’s bringing your social life to life! This will be more obvious in coming months, but for now, you’re finding more joy in connecting. More and more, group activities and associations reveal themselves as avenues for fulfilling your own goals. Jupiter turns direct at the same time that Mercury forms its inferior conjunction the Sun in your partnership zone, pointing to a whole new perspective of one-on-one relationships. Love is gracious at this time, and special dates for building faith include the 2-3, 9-10, 12-13, and 30th. Some of you might reconnect with an old friend or partner, or reach a new understanding of a past relationship. Increased clarity comes not only from willingness to learn from others but also helping them to express themselves. Willingness to let someone else take the stage opens up new levels in personal relationships right now, which have a chance to grow. Editing and revising work are strongly favored this month as well. The 21-22 is a trickier period of May that can bring revelations and possible conflicts to the foreground. Money matters can be a big theme now. There can be a tug of war going on with someone or within yourself over money, possessions, and matters of control. Whatever emerges now can force a needed change. In the last week of May, do a reality check with money and resources before putting more of these things into your projects. Rules and limits can need some attention. This is a time for dealing with recent excesses with activities that have taken you away from your practical responsibilities too often. Simplifying your life should be the focus for best results. From May 27th, Mars spends the last month of its retrograde in your sign. The usual channels for asserting yourself, pursuing your desires, and expressing anger are not available or seem blocked or inappropriate now. Until you find new ones, you could feel a little frustrated. Watch that you don’t allow unacknowledged or buried desires drive your behavior. You may not be as quick to take action. Examine the ways anger has helped or impaired your life so that you can find better ways of managing it. Focusing on review, editing, and digesting rather than new initiatives is your best bet now, and may very well lead to better results down the road. Slow down, rethink, and regroup. The month ahead is a strong one for making important adjustments, getting your daily routines and self-care problems into order, and doing editing or revision in your work, dear Sagittarius. You have plenty of support for these activities, thankfully. Attempting to push ahead new initiatives is not advised for now. This is a time for handling details that may have been missed in the past, reorganizing, clearing up clutter, and attempting to bring more or better structure to your daily life. The New Moon on the 6th motivates you to take charge of your health, self-care initiatives, and work, although much of the month is strong for these things, particularly the first half. If you’ve been holding on too tightly to a difficult work situation or job, then the matter may come to a head. With Jupiter’s direct motion from the 9th, you are easing back into a power period for work, recognition, and promotion that lasts until September. Professional and reputation matters gain more clarity. Although it can take a bit of time to get back on track, you are likely to see gradual improvements in these areas. Motivation to pursue a particular course or path, and possibly a business venture, increases in the coming months. Because Jupiter is your ruler, as it begins its slow but sure movement in direct motion, your own confidence and faith build. You become clearer about what you want and by extension, the signals you give off to others are more effective. As well, Jupiter forms some happy aspects this month. You are solving problems or rising above them when it comes to practical matters. You are especially open to new insights and understanding, and you might also lend a sensitive ear to other people’s problems. You could feel especially reinforced and uplifted when you discover someone who truly understands your perspective. A sense of inner joy and peace can be with you, which quietly yet effectively boosts your personal magnetism. Stronger conviction is with you as you discover more meaning in what you are doing. You can make significant headway in business or other projects already in progress. A tricky period of the month occurs on the 21-22 when the Full Moon aligns with retrograde Mars in your sign. There can be difficulties keeping your cool, and you may be feeling blocked. You can discover strong feelings and desires now that urge you to make changes. Avoid pushing matters, but pay attention to the emotional slush that emerges. Your ruler also makes a difficult aspect with Saturn in the last week of May. This has come up before, but now forms for the last time for some time. If you’ve been taking on too much, you’ll feel it now. Even exciting projects, if overdone, can become overwhelming and burdensome if they’re overdone. Some of you could be wrestling with problems being seen and heard the way you want on a personal level – you could feel that people are looking to you for what you are able to do for them rather than concerning themselves with your personal needs. Personal responsibilities or self-restrictions can be challenging, affecting your growth in the outside world or career. A business or pursuit may need adjustments and some restructuring in order to better meet the demands of reality. Look for ways to simplify your life and draw some boundaries if you feel others are overstepping them. On May 27th, retrograde Mars leaves your sign and enters Scorpio, where it will transit for the final month of its retrograde. Once direct, Mars will work its way back through Scorpio until early August, when it re-enters your sign. Now and until June 29th, you’ll be reassessing your approach to your spiritual and emotional worlds and how you go about satisfying these needs. While some obsession with private matters or concerns about the past may need attention, this is a time for better understanding your more complicated, buried drives and desires. 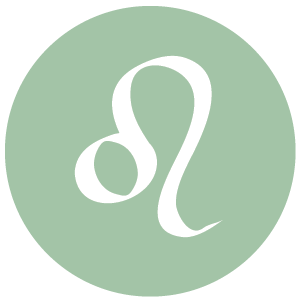 This is a strong month for exploring creative urges, dear Capricorn, and for sharing your affection, joy, and experiences with others. Reconnecting with old passions and hobbies can be in strong focus. Romantic inclinations are highlighted this month, and take-charge energy is with you from the 6th, although you’re in good shape for pursuing playful and celebratory activities much of May, and especially in the first half. If you’ve been holding on too tightly to people or projects that have been keeping you from expressing your true self, you’ll be feeling the restriction and looking for ways to make changes. Expressing yourself creatively is in focus. With Mercury retrograde until the 22nd, you may not always get the words right, but you’re bound to find different channels for expressing yourself, and creative mediums seem your best bet. This is a time for patience – working on building lasting connections and projects is highly favored. Brand-new endeavors may not get off the ground. With the Sun, Mercury, and Venus connecting wonderfully to Pluto in your sign, there are plenty of ways to get your message across. Others see you as especially unique and valuable. This is a good time for rediscovering old interests and possibly even old romances or friendships, and for reviving or editing creative and publishing projects, particularly on the 2-3 and 8-10. Some freedom of movement is especially important to you right now, as any feeling of being tied to a particular place or routine can leave you feeling stifled. Teaching and learning are favored. From the 9th forward, Jupiter in your solar ninth house is direct after several months of retrograde motion. This can point to increasing motivation to pursue your studies, travels, and interests. You may be wanting to develop skills. Matters related to publishing, higher education, law, and travel can turn a corner, and are in strong favor once again until September. The 20th brings the Sun into your work and health sector, stimulating more attention to the functional side of your life. The 21-22 can be tricky with a Full Moon occurring in alignment with retrograde Mars. This pushes trouble areas to the foreground for handling. Desires and feelings are intense now. Restlessness with your current routines can be stimulated. Focus on doing your best instead of allowing a lack of direction interfere with productivity. In time, direction and purpose will be revealed. Tame impatience, which can lead to messy situations. On the 26th, Jupiter forms a final square to Saturn, your ruler, sending a reminder to tame excesses. If you’ve lined up too many potential projects or if you’re faced with too many choices, you could reach a point of feeling overwhelmed. 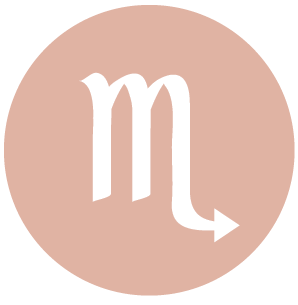 From the 27th, Mars spends its final month of retrograde motion in your solar eleventh house, stirring up friendships, group associations, and long-term goals. Some of you could be dealing with frustrations and buried anger with friends. Ambiguity in these areas of life may lead you to reassess these matters. There may be frustration with goals or dreams not manifesting soon enough, when in fact this retrograde period is strong for making important edits to your plans. Certain projects may need further attention before pushing them forward. Some of you could be reconnecting with old friendships, groups, dreams, and plans. There is powerful focus on home, family, and personal matters this month, dear Aquarius. This is a time for rediscovering old projects, reorganizing the home, and dealing with past problems in new, empowering ways. This is about your own support system and the support you give to others. There can be vivid memories and important discoveries. You may be facing up to a neglected area of your life that now seems quite important to revisit – and you have much to gain in the process. Particularly in the first half of May, there can be good opportunities to expand, strengthen, and enhance family relationships, and on some level, you may very well find peace with your past. There can be some intense emotions in the process, but they lead to growth and satisfaction. There are treasures to be found in the past – you could be finding lost items, uncovering untapped resources, and remembering things that have long been forgotten. 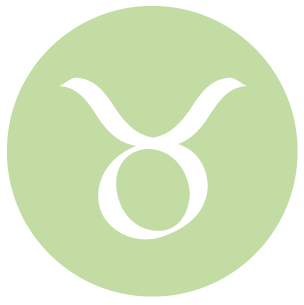 Financial matters are in strong shape as well, although with Mercury retrograde in the financial sign of Taurus until the 22nd, you are probably better off working on projects already in progress. You could gain new insight into business, financial, and other practical matters or advice about same. There can be purging, healing moments as you share things that you kept to yourself. You may be connecting more deeply with a partner, or gaining new understanding of an important person in your life. An important change occurs on the 9th when Jupiter turns direct. Gradually, you’ll see improvements or forward motion with your intimate life or finances. You’re more confident about dealing with tricky emotions or complicated problems. Personal charisma increases. This can be a good time for leaving a bad habit behind. While friendships are also set to move forward, you’re likely to deal with problem areas later this month first. There can be joys experienced through an intimate relationship or with more honesty with yourself. It can be easier to attract support if needed. A loan or support could come through. There can be a fresh approach taken to money matters or resources, and you could be finding ways to make more of what you have. Some of you may revive an old friendship. 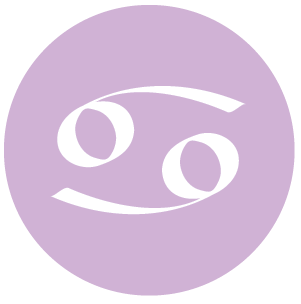 The Sun moves into a creative, romantic, and playful sector of your chart on the 20th, where it will awaken your feelings and desire to share – an influence that lasts a month. Venus will move into the same sector on the 24th, and this is great news for personal attraction. The 21-22 is tricky for all of us, and for you, this can bring some drama to your social life. Unrest with friends and lovers may be pushed to the surface, but you’ll be in a better position to understand what and who you want once the impatience of the moment passes. A Jupiter-Saturn influence that has had an on-and-off influence on our lives since last summer perfects for the last time on the 26th. Intimate relationships or increased need for privacy or exclusiveness can be impacting friendships and goals, and this is the time for cutting back, simplifying, and coming to a better balance. For some, financial excesses require some attention. From May 27th, retrograde Mars moves back into your career and reputation sector where it will spend the last month of its retrograde. There can be some second-guessing or reassessing of your goals now, and part of the process can involve taking a second look at old goals, projects, and plans. There are wonderful aspects made from your communications sector to planets in your sign this month, dear Pisces. So, while a retrograde Mercury may lead to some misunderstandings, you’re nevertheless expressing yourself with special flair. If you focus on slowing yourself down, this can be a very rewarding month. You may be turning to past projects and interests rather than embarking on all-new endeavors, but there is a lot of good energy with you for devotion and dedication. It’s a great time for editing, revising, and reviving. You can have much success with designing, writing, and teaching as well. There can be discoveries of different ways to connect, whether this is about communicating or commuting, perhaps because current ones are not working well. You might rediscover old interests or revisit past studies with success. Personal influence and powers of persuasion are especially strong. Ideas shared with friends or in group settings can be healing and helpful. You can find yourself in the position of guide or coach, and doing very well at it. There can be the strengthening of a friendship or a group involvement. 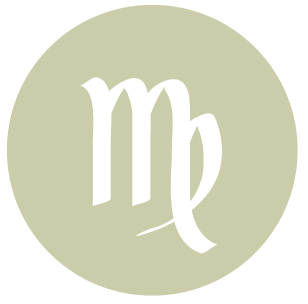 While there can be some problems with misunderstandings as Mercury retrogrades until the 22nd and Mars does so all month, your concern and care can help strengthen close relationships. Jupiter turns direct in your partnership sector on the 9th, and as your co-ruler, this helps build your faith and optimism. You’re in a better position to see the benefits of partnering going forward, or there could be more helpful, happy, or pleasing people coming (back) into your life. Even with increased family focus starting near the end of May, your social life is set to increase. Moods are lifted. Career matters can also begin more forward momentum. There will be a few matters to iron out before everything is running up to par again (the 21-22 could bring a problem to a head), but you are certainly feeling more hopeful and spirited. You can find much joy in feeling part of a partnership or close friendship, There can be a nice spirit of forgiveness. The Sun moves into your home and family sector on the 20th, and then Venus begins its transit of the same house on the 24th. You are moving towards a strong period for enjoying and improving family and home life. The 21-22 is tricky, but eye-opening. A Full Moon occurs and aligns with an opposition between the Sun and retrograde Mars. Both events promote new awareness, and both in initially disruptive or dramatic ways! Be cautious when it comes to mixing personal and professional arenas. Misunderstandings can be plenty, and you’ll want to avoid “bad press”. Impatience won’t move things forward if they’re not ready to go in that direction, so take some time before making needed changes. 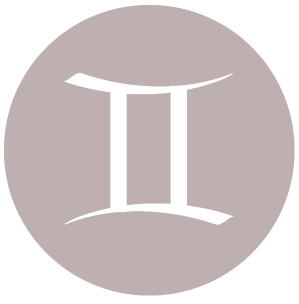 On the 26th, the final Jupiter-Saturn square in a set occurs, stimulating tensions revolving around long-term ambitions, goals, career, and partnerships. You can get yourself all wound up about others’ expectations of you – you can be frustrated with critical observations and limits imposed by others, particularly related to performance and responsibilities. It can be difficult to find balance in your life right now with people pulling you in different directions, but every effort should be made towards simplifying things so that you can get as close to balance as possible. From May 27th, Mars moves back into your solar ninth house, and will spend its final month of retrograde motion in this area of your chart. You may be dealing with waning energy or enthusiasm levels until you recognize that it’s about redirecting these things to the right channels. Legal or publishing matters can require a second look. Watch that you don’t focus too much on the frustrations of differing belief systems and opinions. Look for old studies, interests, and passions that may spark a new interest, but be sure to approach them in fresh ways so that they aren’t left unfinished this time around. Sun 29° Aries 49' 42"
Moon 09° Scorpio 32' 55"
Mercury 03° Aries 44' 26"
Venus 29° Pisces 25' 17"
Mars 13° Gemini 07' 48"
Uranus 02° Taurus 22' 09"
Neptune 17° Pisces 43' 13"